Posted on August 21, 2018 . 1 Comment. 00:55 Derek’s credentials as an elite competitor and as a Senior SFG. 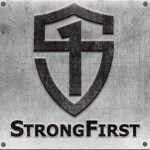 01:31 Derek and his brother successfully started four StrongFirst Accredited Gyms (TNT Fitness) in Wisconsin. 02:17 Derek talks about what he’s training for now, including rock climbing. 03:10 Challenges of climbing. Helps with fear of heights. Work on flexibility. Nutrition and weight management is important. 05:06 Derek talks about his time as a wrestler. 08:00 How he managed the transition from wrestling to 400-meter hurdles. Wrestling is a tough sport mentally and hurdles are much the same. 10:45 Building endurance. Lots of running below the lactate threshold to build a base. Then work on speed with long rests. 16:35 How Derek trains for strength and conditioning at the same time. 21:55 Secret deadlifting training to prepare for the TSC. 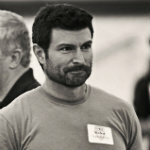 25:10 How Derek stays healthy; plans for longevity in the future. 27:00 Derek talks about how his brother ran a marathon without any running. 28:14 Derek talks about diet and nutrition. 34:16 General philosophy on training new people.